When consumers buy an item, it’s common for the buyer to justify the purchase through logic, good reasons or practical concerns. In the majority of cases, however, this justification is a smokescreen. The actual purchase was motivated by an emotional reaction, whether to the company, the marketing message, the salesperson or the product itself. A company that can create an emotional bond with its customers–that can make a customer feel appreciated, respected and understood–will have little trouble making initial sales and claiming repeat business. Recognize the Importance of Your Customers: Without customers, you have no business, so it makes sense to put your company’s focus on serving your clients in the friendliest, most efficient and most heartfelt way possible. 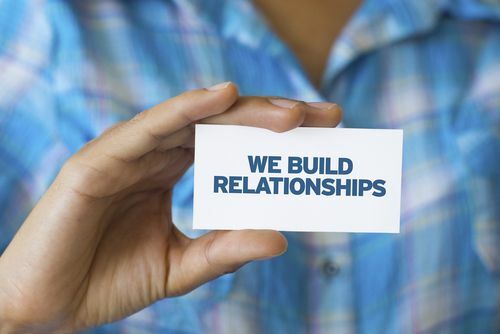 This does not mean going overboard with the attempts to connect–customers can sense insincerity and may resent it if you’re trying too hard. Respond to customers in the same way you’d like to be treated if you were the customer. By maintaining focus on your customers, you keep the relationship centered where it will have the best outcome for both sides. Respond to Your Customers’ Emotional Center: Learn to empathize with customers and understand why they have turned to your company for solutions to their problems. When you can comprehend the issue from the customer’s perspective, you’ll have a much better chance of finding the emotional reason behind their actions. Avoid getting defensive if complaints are made. Instead, try to understand the customer’s emotional reaction to the problem and work to solve the issue courteously and efficiently. Respect Your Customers: The old saying is that respect is earned, not given, and it remains relevant in a business environment. Fulfill your promises and do everything you say you will. Resolve problems quickly and efficiently, with the least possible inconvenience to the customer. Listen carefully to what your customers are saying and respond appropriately. Do everything possible to make your clients feel good about choosing or returning to your company, products or services. What can you and your sales team do to improve customers’ experience and strengthen their emotional ties to your company? Pingback: Increasing Client Retention Is a Constant Goal — 4 Ways to Make That Happen | Continuity Programs Inc.
Pingback: Effective Content Marketing Requires a Strategy | Continuity Programs Inc.
Pingback: 7 Qualities of a Memorable Client Follow-Up Program | Continuity Programs Inc.
Pingback: There’s Always Room for Improvement When It Comes to Customer Experience | Continuity Programs Inc.